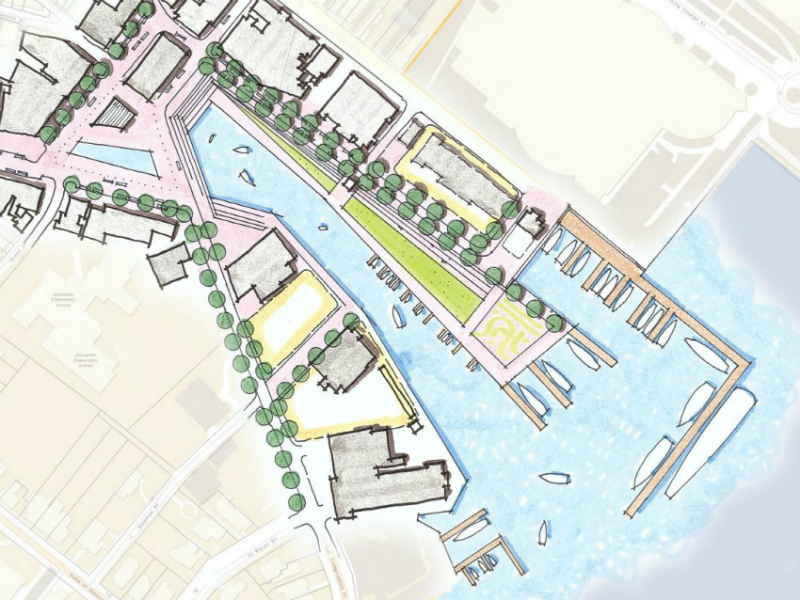 Sketch of Annapolis City Dock from ULI TAP report, 2019. With the support of a Heritage Fund grant from Preservation Maryland, the Urban Land Institute issued its formal recommendations today for the future of the historic City Dock in Annapolis. Annapolis’ waterfront sits at the bottom of the historic Main Street and the waterfront’s location has created a diversity of opinions and long-term debate about its future use. In 2018, Annapolis’ elected officials proposed a major revision to the zoning of the waterfront – changes which would have paved the way for large, out-of-scale development with the potential to overwhelm the national historic landmark district. 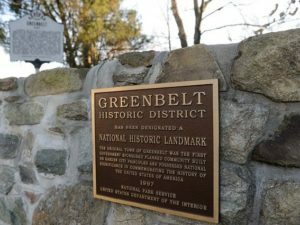 In response, the National Trust for Historic Preservation listed the Annapolis National Historic Landmark District as one of the nation’s most endangered historic places. In partnership with the National Trust for Historic Preservation and Historic Annapolis, Preservation Maryland launched a Six-to-Fix project to support proactive planning to help balance preservation with future growth. 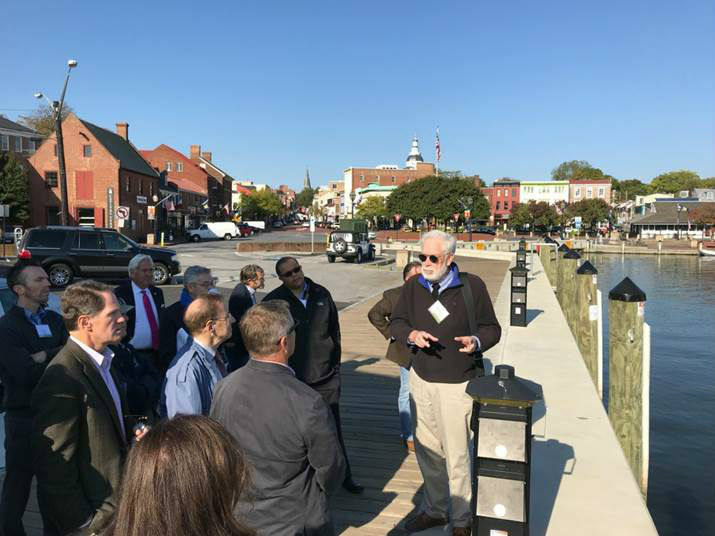 ULI TAP touring Annapolis, October 2018. 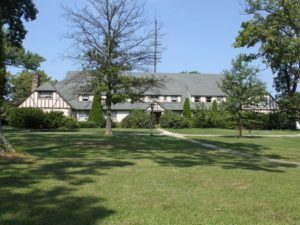 With grant funding from Preservation Maryland’s Heritage Fund grant program, a joint partnership with the Maryland Historical Trust, and the National Trust for Historic Preservation, Historic Annapolis partnered with the Urban Land Institute to convene a Technical Assistance Panel (TAP) in October 2018. The findings of the TAP are now available. Identifying leadership, making investments and using financial tools initiated by the City to be the catalyst for reinvestment and physical improvements at City Dock. These initiatives should improve access to the water for more people and a more diverse population. Respecting and enhancing existing zoning to encourage the maritime heritage and protect view-sheds and the character, scale and ambiance of the historic town. Establishing a Public/Private Steering Committee to guide reinvestment while ensuring stakeholder engagement and process transparency. The full report goes into much greater detail about the future of Annapolis and is a powerful first step in creating a balanced plan for growth in one of Maryland’s most historic communities.